With every new entry in the Marvel Cinematic Universe, discussions emerge regarding the films’ depictions of women. The recent release of Thor: The Dark World has surprised and pleased some by apparently passing the famous Bechdel Test, which means that the film featured at least two women talking to one another about something other than a man. This female fan loved the women in the latest Marvel film, and while the MCU is not perfect in its portrayal of women, it has given us a number of awesome and amazing females to admire and be inspired by. In order to celebrate this, I’ve decided to create this non-exhaustive list of the top 5 badass women of the MCU. Please note, this article contains spoilers for the recent Thor: The Dark World – you’ve been warned! While these three women didn’t make it in my top 5 list, they are all crucial and awesome additions to the MCU. Frigga is the calm and loving mother of Thor and Loki, and isn’t afraid of picking up a sword and beating down on some frost giants and dark elves, either. It’s also implied that she is the one who taught Loki everything he knows about magic – in Thor: The Dark World, she outwits the evil Malekith and totally shrugs off his uninspired insult of “witch.” The deleted scenes of Thor also show an intelligent woman who is, quite frankly, the only member of the Asgardian royal family who sees things clearly and rationally. Darcy tends to split fans; people either love her or hate her. I think she’s one of the few totally genuine characters in the MCU. She doesn’t bring anything to the table except humour, understanding, and authentic friendship for Jane Foster. While her character is literally meant to be the audience’s double in the MCU (“Wow, look at Thor! What’s Mjolnir? What’s S.H.I.E.L.D.? Give me more exposition!”), she is unique in her incredible ordinariness. In a universe filled with over-the-top characters that tend to overreact, it’s so refreshing to have a young woman who is smart enough to just pick up the phone and call the police when her friend is in trouble. Poor Maria Hill also tends to raise the hackles of Marvel fans. Look, she can be annoying in the comics, but the Maria Hill of The Avengers was calm, cool, and collected. She never shied away from her responsibilities, she was good at her job, and she held her own in a room filled with gods, rage machines, super spies, soldiers, and a smartass billionaire with daddy issues. It’s implied by her constant presence at the helm of the S.H.I.E.L.D. Helicarrier that a great deal of the whole operation rests on her shoulders, but she never freaks out. She’s also one of the few characters to raise her eyebrow and question our heroes: “When did you become an expert in thermonuclear astrophysics?” I personally think we need more skepticism in the MCU. 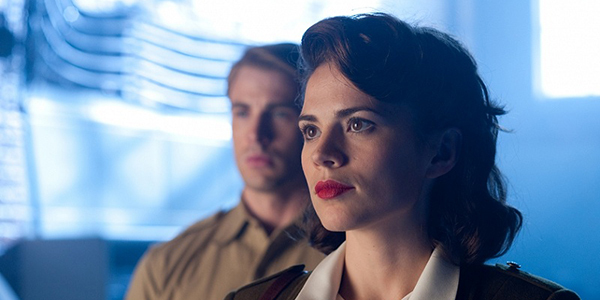 The post 5 Most Badass Women Of The Marvel Cinematic Universe appeared first on WhatCulture!.